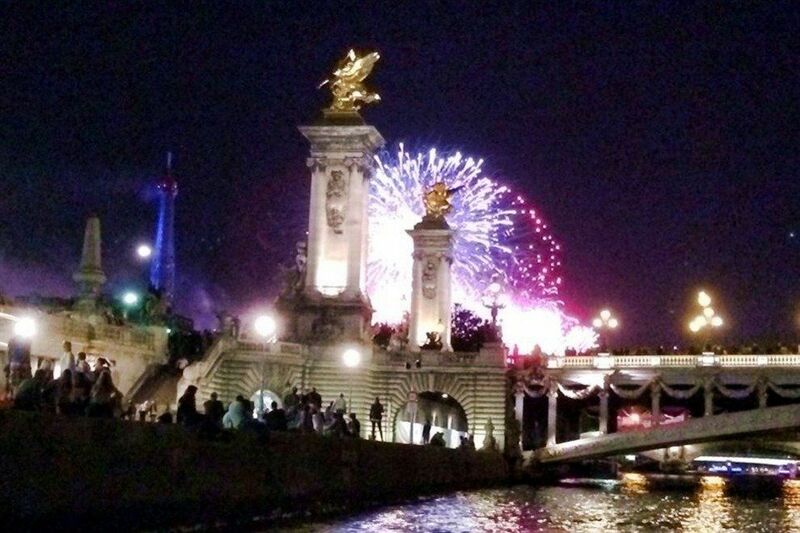 Think of Paris and you think of love and romance instantly. But is love its only claim to fame? No, it is twinkling LED lights, all-night dance clubs and bars and eclectic venues to spend a wonderful night out with your friends and family. Rightly known as the City of Light, Paree never sleeps rather it wakes up as soon as the sun sets and a champagne bar at the top of the Eiffel Tower is just the tip of the iceberg. We had to seek out gems hidden behind grim facades, some we found in patios and antechambers. Yet, these eclectic nightlife options are worth visiting in Paris. Sit back, relax and get a chance to relish gourmet fine dining while you tour Paris’ historical city spots on a luxurious tour bus. 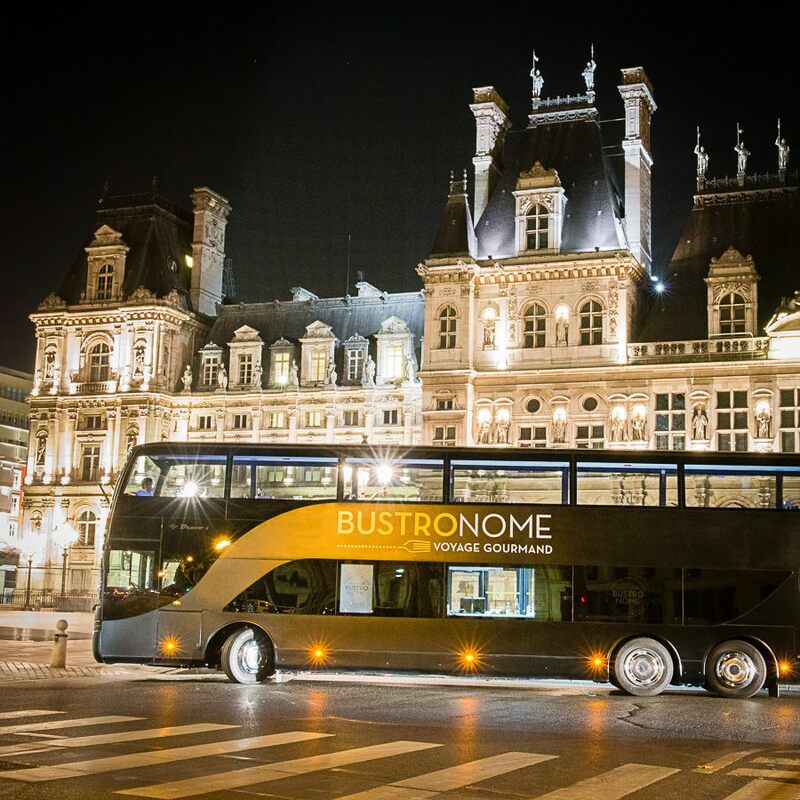 In answer to the food truck craze in the west, Paris thought of the Bustronome, well a culinary take on bus and gastronomy. Confused why we are asking you to visit a riverside at night? Well, the Seine is the new hip venue for trendy nightspot venues like the Le Fantôme for its finger foods and video games. Batofar -a dance club bar, Wanderlust -the extensive rooftop terrace bar-lounge-club, Rosa Bonheur Sur Seine and Flow where you can lounge around, drink and dance the night away. 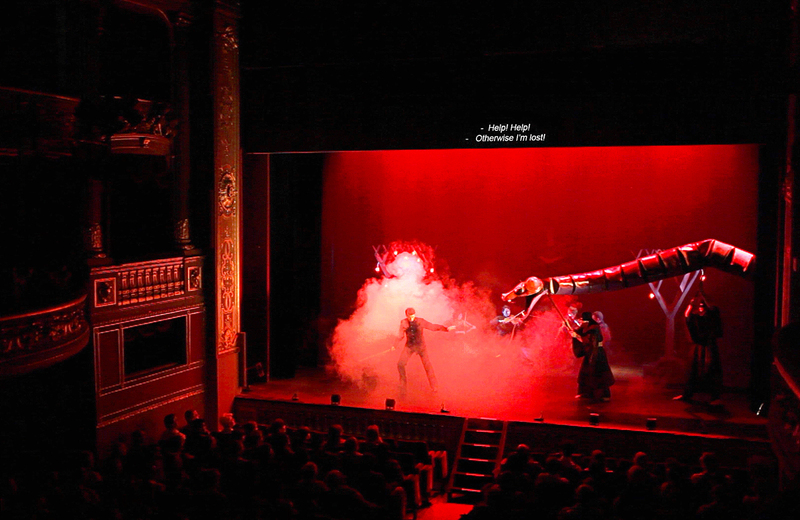 The theater scene in Paris is active, matched only by the New York and London theater scene. There are 100’s of plays being performed in the city, and thanks to Theatre in Paris, you can now watch them with simultaneous English translations available at the Theatre Edouard VII too. Every Parisian arrondissement boasts of its own wine bar, some served in medicinal doses by machines, and in others where the barmen love to pour. Visiting a Vin Naturel bar should be on your list. If you are looking for iconic bars, then Willi’s and Baton Rouge it is. 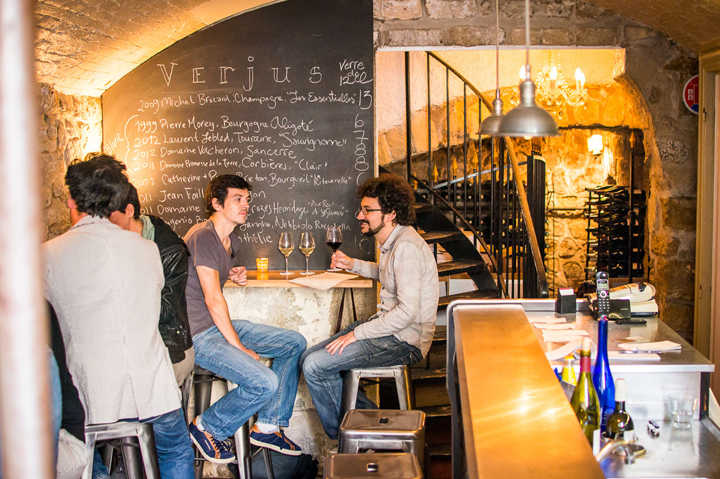 For something hip, try the unusual favorites Verjus, Frenchie’s and Septime. This converted dance hall from the 1900’s is a must visit. 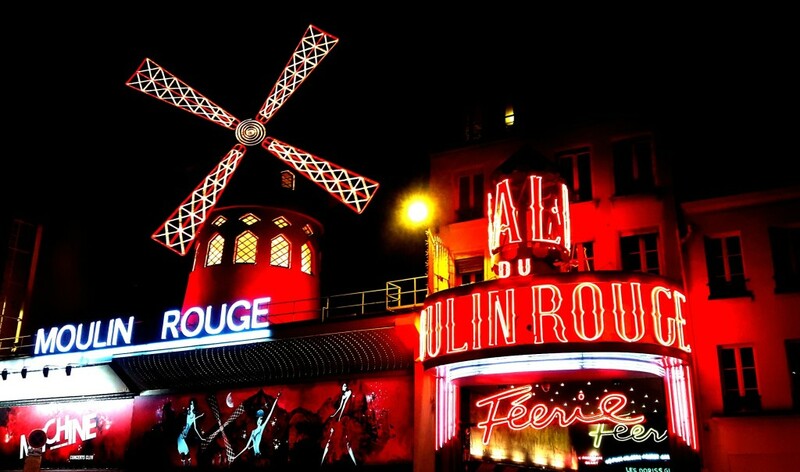 Known for its world-famous cabaret shows and can-can dancers; you can watch dancers perform acrobatic stunts, dance, and sing. Dress code is business casual and prior bookings a must.